I adore my new Tala Lamp. Beautifully designed, with a soft warm LED light, it adds a calm glow to the corner of our dining room. We never have enough light sources in our home. Our parents, when they visit, are forever turning the ‘big light on’ much to my horror! I hate the big light, with a passion! Don’t you? I think, as a family, we’ve just got used to living in gloom. Preferring to light candles and add have the odd lamp on. Saying that, I do appreciate that we are in need of increasing the lighting in our home – just so that big light NEVER goes on. (I might remove the bulbs!). 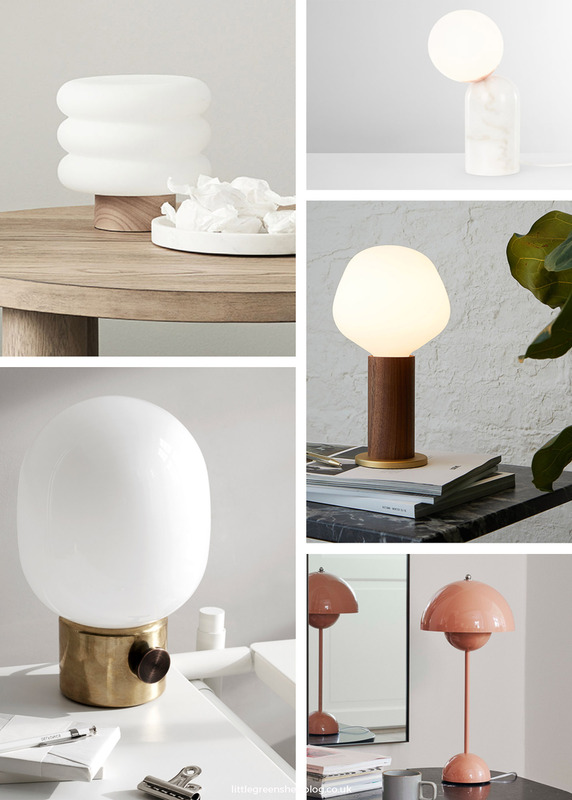 So after scouring the shops online – I’ve made a short list of my favourite minimalist table lamps that I’ve got my eye on…. The cheapest of the bunch, but still is as stylish as the others. 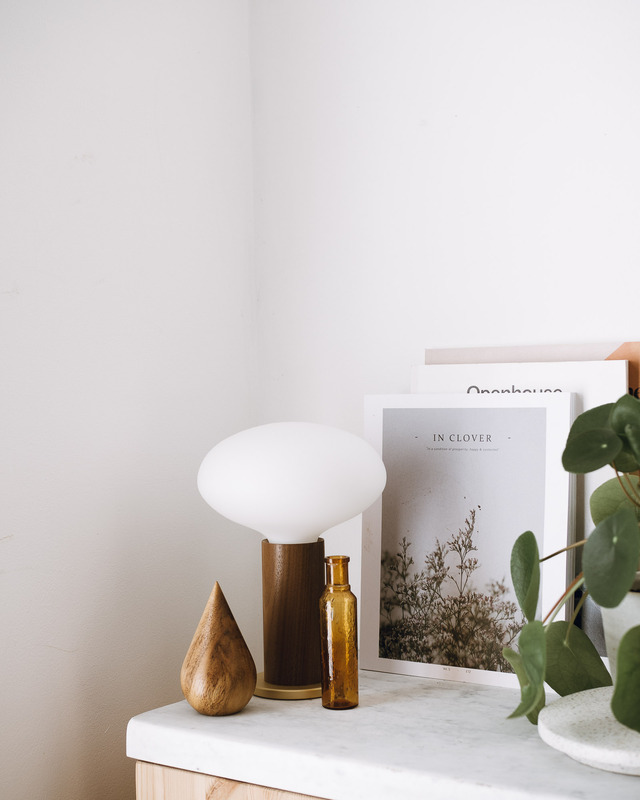 I love the curvaceous shape of the opaque shade, that combined with the simple wooden stand, this little lamp will look good in any room. From kids bedside table to an extra mood lamp in the kitchen. 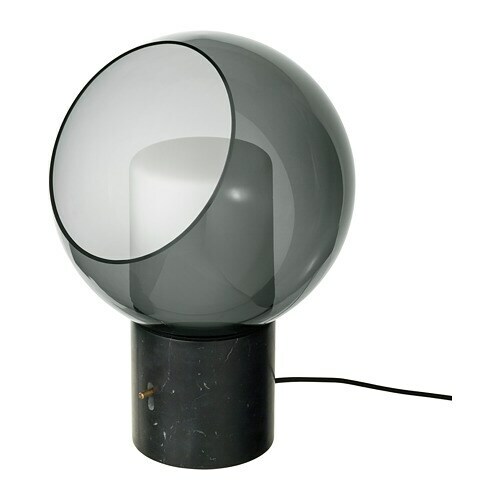 This striking looking table lamp comes in a variety of finishes. I love this marble and copper one, and I also quite fancy it in the peacock green. 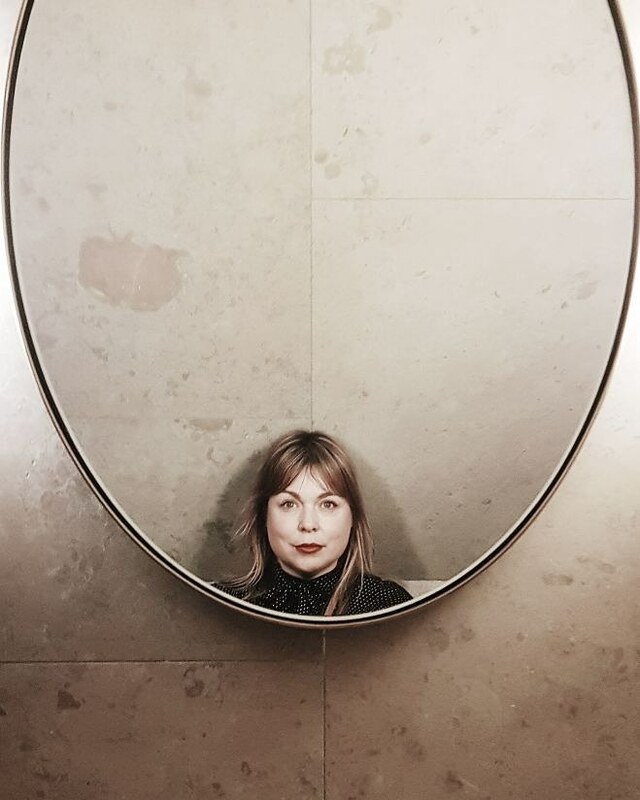 Perfect for a sideboard, amongst books, plants and art. Tala have created a range of stunning fixtures perfect for showcasing their spectacular Tala energy friendly LED bulbs. The elegant, cylindrical touch lamp crafted with FSC grade American oak and recycled brass offers the perfect solution to ambient, mood lighting. The three set dimming switch gives you the freedom to go from mellow to majestic with the flip of a switch. Bulb sold separately. other is not only an icon of that era, the FlowerPot Lamps remain equally as appealing to new generations. A new series of colours launched by &tradition. I love the beige red and of course the matte white. 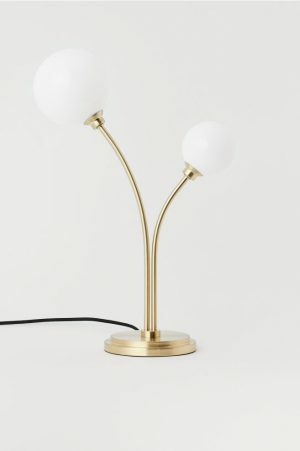 I’ve wanted on of these JWDA lamps like forever. Falling in love with the classic concrete base and brass knob, and now the white marble and bronzed brass variety, which is 12% larger than the original one. 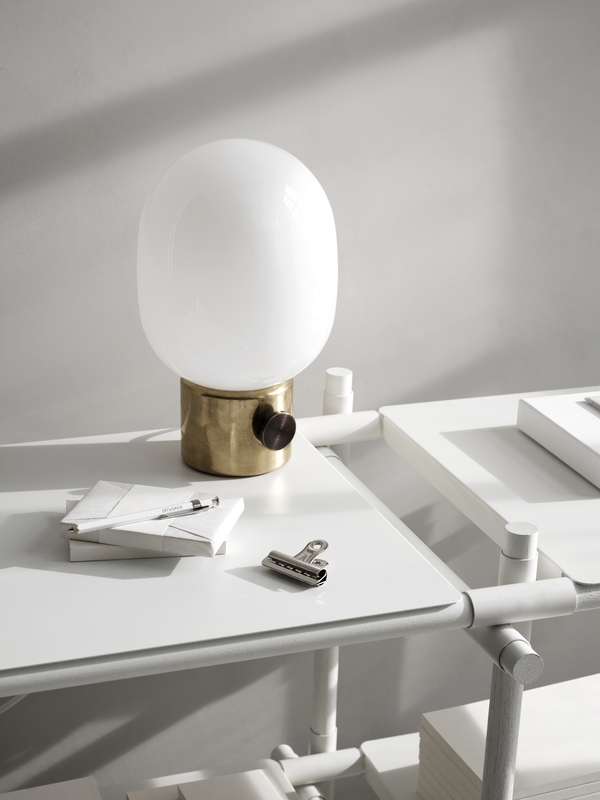 Design by Jonas Wagell – these beautiful lamps are inspired by more old oil lamps. Images – top by Lou Archell. Round-up by individual brand.